Solutions Office Suites offers Interior and Exterior suites equipped with all the amenities necessary to meet your business needs. With multiple configurations available, office suites can comfortably fit business associates and clients. When you walk through the door, you and your clients are greeted by our friendly and professional staff. 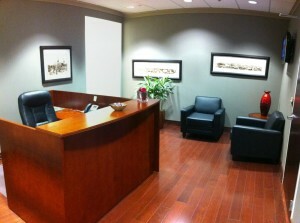 The picture below of our 4th floor reception area gives you a glimpse of what that interaction would feel like. 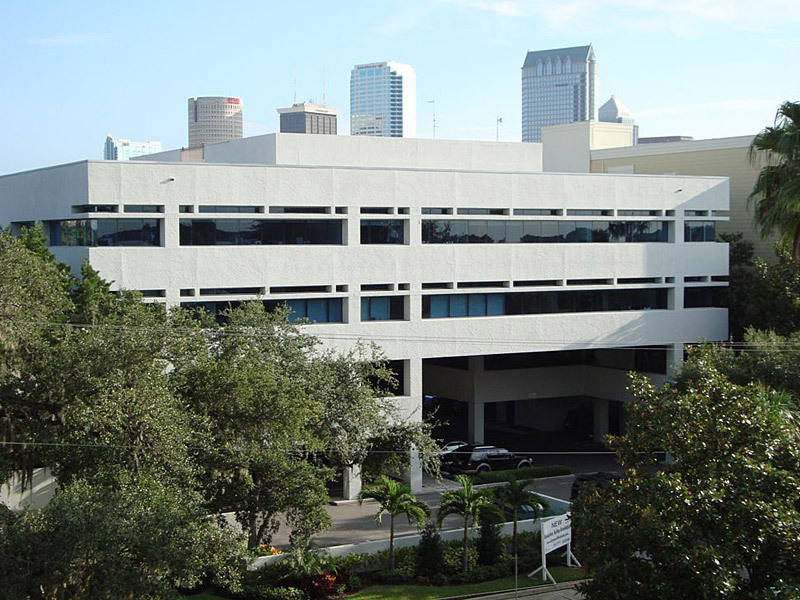 All of our offices offer natural light from huge windows. Wireless and wired internet capability bring high speed internet access to every office. With access to multiple conference rooms, you can meet with clients and colleagues whenever and wherever you want. Printing, mail, lunchroom and kitchen facilities make sure that all your behind the scenes activities are taken care of. The furniture provided makes every suite feel warm and inviting, and clients will be see a professional and reliable business that is successful in today’s economic climate. 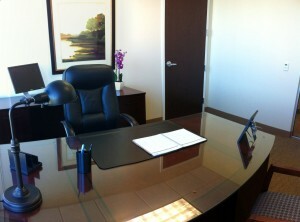 Take a look at one of our furnished offices – perfect for any business professional. 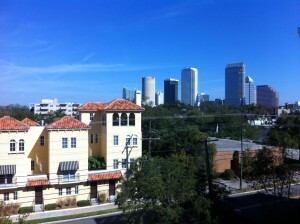 Exterior offices offer stunning views of Hyde Park and Downtown Tampa. Imagine the impression you can make on a client with a suite that looks out on a beautiful Florida day, like the one in the following picture. Having recently expanded, offices are now available that feature several suite-within-a-suite options – private, interconnecting suites that allow for teamwork when desired and privacy when needed. In addition to the new suites, new break areas, conference/meeting rooms, and other services have been expanded. To learn more about how you can have it your way or to reserve your new suite today, please give us a call at 813-229-1500.